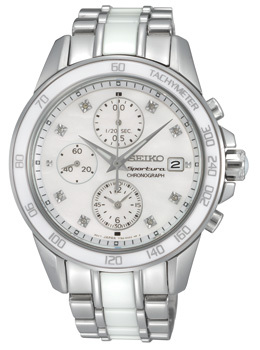 Ladies Seiko Sportura, diamonds on the dial, white ceramic on the bezel and band, very beautiful and very stylish. This is an awesome watch, it has so many details and it does so many things. It is a bigger, more modern look for strong, independent, powerful women on the go.